Shojin is the term used to describe a variety of Japanese cuisine which disdains the use of animal products such as meat, eggs, poultry, fish or shellfish of any kind. Sho in shojin literally means ‘to concentrate’. Jin means ‘to go forward’ or ‘to advance/make progress’. As you may have inferred from the naming, shojin cooking originated and advanced at Zen Buddhist monasteries. An integral part of a monk’s daily discipline consisted of meal preparation and consumption. The shojin concept and many of the ingredients and dishes found within it were introduced to Japan from China in the 13th century by Zen monks who had returned from studying Buddhism there. One of these returning monks developed guidelines for shojin cooking and a textbook for preparing shojin-style meals in order to assist in the training of student monks to help perform the kitchen duties. Subsequently, the local grocery stores and retailers who supplied the Buddhist monks with vegetables and other goods learned to prepare shojin dishes. They began selling them to the monks as prepared meals instead of just the ingredients to the temples, and to lay people who were served meals after gatherings. 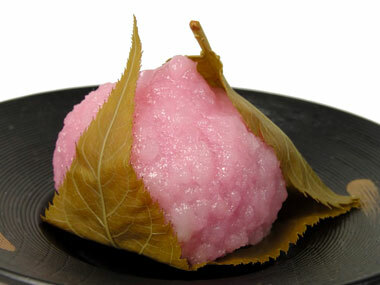 Many dishes incorporating shojin ingredients are prepared by the Japanese in modern times. Such shojin ingredients as tofu are now available throughout Japan and most people could not imagine life without them. However, other foods such as yuba which are dried sheets of tofu, are still considered specialities in the areas where Zen Buddhism originated and flourished such as Kyoto, Nikko and Kamakura. If you want to sample traditional shojin dishes today, you’ll need to seek out a shojin ryori restaurant operated by some temples in Tokyo, Kyoto and other cities throughout Japan. Although the word shojin has lost its religious meaning, it is still used to refer to ‘temple food’ and when there is a death in the family, food is typically ordered from shojin ryori restaurants. The word shojin does not refer to ‘vegeterian food’ per-se which can include Western-style dishes. 1. No animal products or meat, poultry, eggs and fish are used. Even the soup stocks are prepared with seaweed or mushroom. 2. The cooking oil is always vegetable. Never fat, butter or fish oil. 4. The shojin ingredients supply all the nutritional requirements. Protein from soybeans, minerals from sea vegetables and vitamins from fresh and dried vegetables. 5. Portion sizes and meals are modest in size.